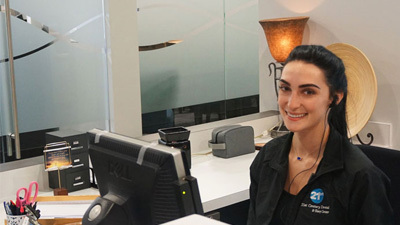 At 21st Century Dental, our dedicated dentists love staying up-to-date with the latest tools, techniques, and technologies in the oral healthcare world. 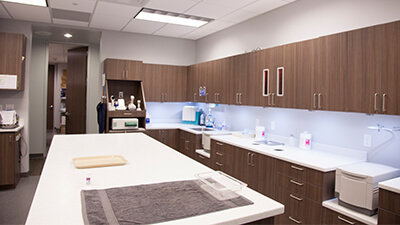 Our patients benefit from this modern approach in various ways, from added comfort throughout treatment to improved diagnostic accuracy to faster, more efficient appointments. 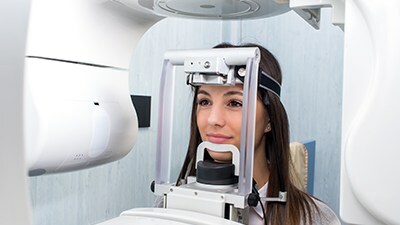 Keep reading below to learn more or contact us today in Las Colinas to schedule a first appointment and see everything we have to offer in person! Why Choose 21st Century Dental for Dental Technology? 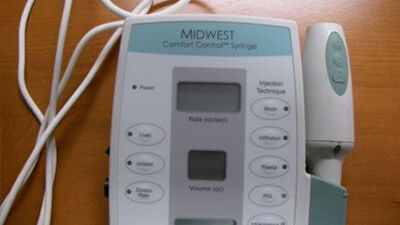 The Comfort Control Syringe (CCS) is a pre-programmed, computer-controlled anesthetic delivery system. The CCS precision delivery technology allows us to provide you with a continuous, steady level of comfort, and its disposable cartridge sheaths mean a safe, sterile procedure. 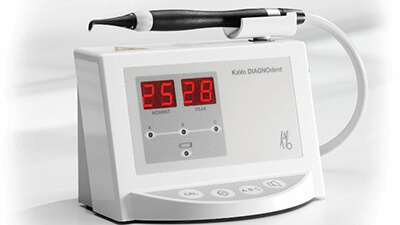 The doctors at 21st Century Dental keep up-to-date on laser technology. This is truly an emerging field that will have a tremendous impact on how dentistry is performed in the future. Shown here is one of the six lasers we currently use on a daily basis. We use this one to cure the tooth-colored materials that are placed for cosmetic purposes. Other lasers include the perio laser from Lares, which we use to treat periodontal disease, for the cosmetic recontouring of your gums, for the removal of frenums, and for the treatment of aphthous ulcers, herpetic ulcers, and other mouth ulcers. We also use DIAGNOdent for the precise diagnosis of decay. Another exciting area is air abrasion. 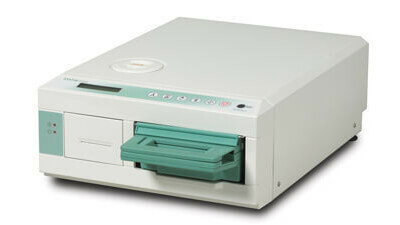 This unit is used in our office every day, and it makes patients smile. Why? Because it allows us to prepare teeth for fillings without the need for anesthesia or a drill! Here, you are looking at a computer that sits in every treatment room. This allows us to schedule appointments for you without having to wait at the front desk. We also have our patient charts here, so when you call us, your treatment needs are only a click away! 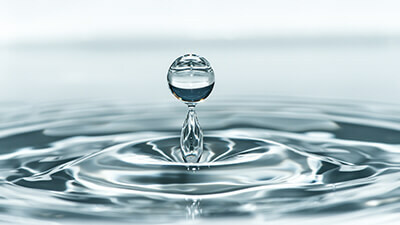 Concerned about water purity? Have you been watching one too many installments of "20-20 takes 20 shots at dental offices"? Well, rest easy. This point-of-source water bottle is just ONE method we use to ensure that the water we use is cleaner than the water you drink... bottled or not! We use this digital orthophos to take full-mouth digital X-rays every few years. 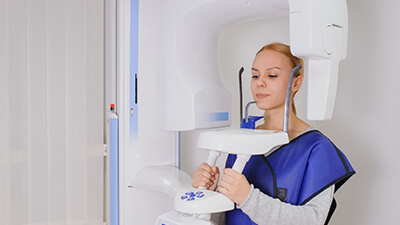 Different from the small "tooth" X-rays we take periodically, this process will locate cysts, jaw fractures, cancerous lesions, and other abnormalities of the bone and tissues in and around the oral cavity. In the digital format, your radiation exposure is considerably reduced, and the image is without peer. What else would you expect from 21st Century Dental? 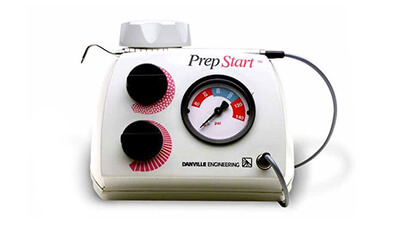 This reliable cassette sterilizer is fast enough to sterilize expensive dental handpieces and instruments between procedures – it can complete an unwrapped sterilization cycle in just nine minutes and a wrapped cycle in just 17.5 minutes. 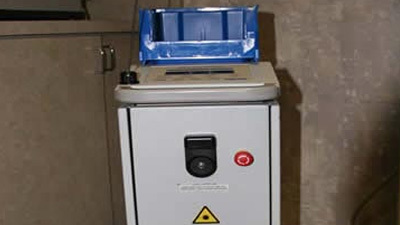 SciCan's Statim cassette sterilizers have a biological effectiveness that has been proven in tests for hollow and solid instruments at many internationally recognized institutes in Canada, the United States, and Europe. 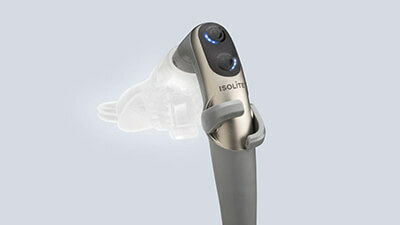 The revolutionary Isolite converges the functions of light, aspiration, and retraction into one streamlined tool that makes isolation quick, easy, and incredibly comfortable for patients. At 21st Century Dental, we are using Isolite to reduce procedure times by 20-50% while improving patient safety and staff fatigue. Do you suffer from chronic facial pain or persistent headaches? Often, these problems are due to a malocclusion, or a bite that is slightly misaligned, and this can cause tension in the facial muscles that leads to a stiff, painful jaw and severe muscle headaches. 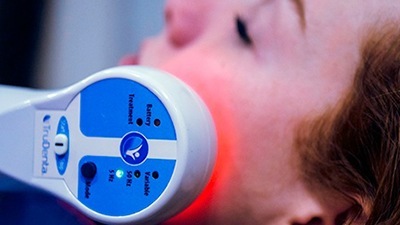 Combining both dentistry and sports medicine, our team can use the TruDenta system to discover the underlying cause of face and head pain and directly treat the source using custom-made mouthpieces and gentle electric massage. 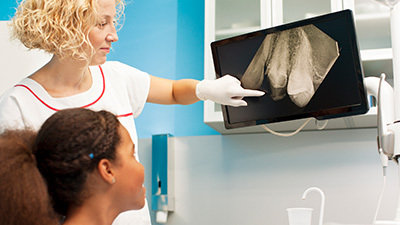 Digital radiography’s technology improves and simplifies the way we care for our patients’ teeth, resulting in better dental evaluations and treatment decisions. 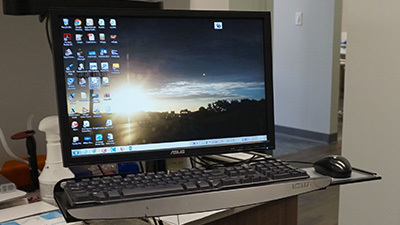 The instantaneous, clear computer screen image allows us to immediately discuss the findings with our patients. "Sleep Dentistry" is an extremely relaxing method that we use when performing smile makeovers, instant orthodontics, and even less time-consuming cosmetic procedures. It is also used at any time someone wishes to be even more relaxed than what conscious sedation (laughing gas) can provide. 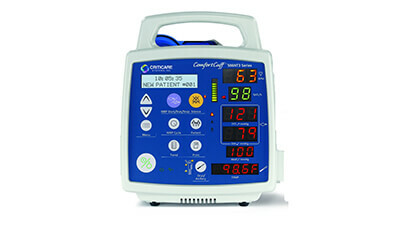 It is important that we monitor your vital signs, such as blood pressure, pulse, and oxygen saturation during these procedures, and this "pulse oximeter" is the latest technological advancement in this arena. To better serve our patients, we now use radio communication to pass along information to others in the office. This saves us from leaving you during procedures, cuts down on unwanted noise in the office, and allows us to pretend to be FBI agents if things get boring around here. At 21st Century, we ensure that no technology that will benefit the health of our patients will ever be out of reach. Every patient receives a free oral cancer screening! Why? Oral cancer kills one person every hour in the U.S., and this doesn't come close to the number who are physically debilitated. Call us today if you have concerns about oral cancer. Remember that although tobacco and alcohol are the largest risk factors, this kind of cancer occurs often in those with no risk factors at all. You can't afford not to be checked!